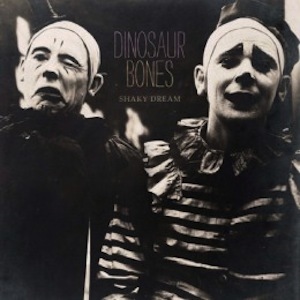 Shaky Dream, the sophomore effort from Dinosaur Bones , feels just that, a hazy, dark mess that doesn’t come together in the morning. The album is full of moody and dark guitar driven tunes, but fails to draw the listener in. The songs tend to bleed together and lack an overall punch behind the ultra moody and dark overtones of the album. There is an unsettling feel to the album, but not in an introspective way, more of a unfulfilled incomplete feel. Not to say there are not some stand-outs on the record. “Sleepsick” and “End of Life Crisis” are well-constructed songs with full bodied choruses while “Nothing Left Between the Lines” is a majestic track with a wonderfully catchy melody that is somewhat reminiscent of “Mind Mischief” from Tame Impala.